I'm still wading through various bits and pieces of card and paper to top up my box of cards to sell for charity and/or to send to friends and family. I started with a piece of paper from an ancient Tim Holtz Vintage shabby paper pad and I dread to think how long I've had this. 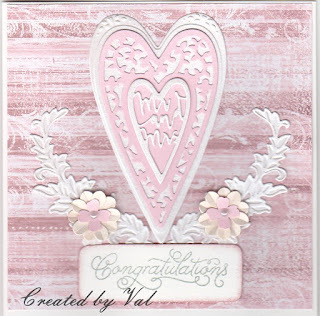 From my many scraps of cream card I found enough along with some pink to die cut the various layers of the hearts and the two leafy sections; two small flowers left over from another project were brought into play with extra pink centres added and finally a sentiment was stamped onto another scrap to complete this card which could be for Wedding, Anniversary or maybe Engagement. 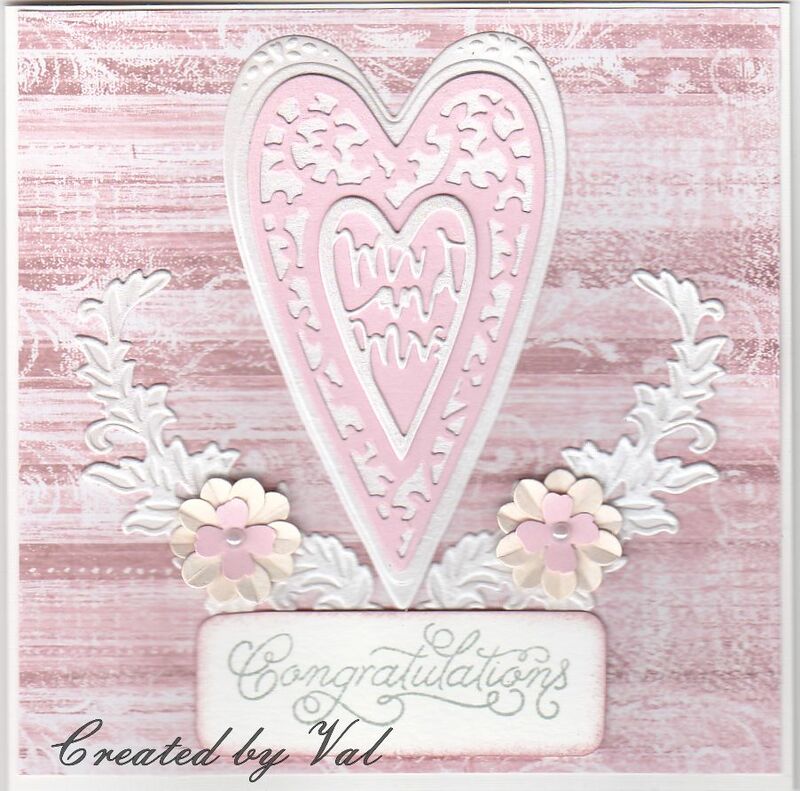 Love this card Val. Very chic and I afore the colours. Hugs Mrs A.